The Opequon Creek near Martinsburg, Berkeley County on Monday, Sept. 10, 2018. Emergency management officials are expecting the Ohio River in the Northern Panhandle to crest Tuesday afternoon at 39 feet – which is lower than previously anticipated, and one foot lower than what’s considered the “moderate flood” level. Some low-lying areas surrounding the river are expected to take water nonetheless, and cleanup plans are in place to help pump water out of basements and remove any mud and debris. Officials have been managing minor flooding around swollen creeks in the region, but report that those creeks are now back within their banks. In the Eastern Panhandle, the National Weather Service has issued a flood warning for Berkeley, Jefferson and Morgan Counties. The Opequon Creek near Martinsburg and the Potomac River are in flood stage and are expected to remain so for 24 to 48 hours. The National Weather Service has also issued a hazardous weather outlook for Berkeley, Jefferson, Morgan, Hampshire, Hardy, Grant, Mineral and Pendleton counties. It will remain in effect through Sunday. 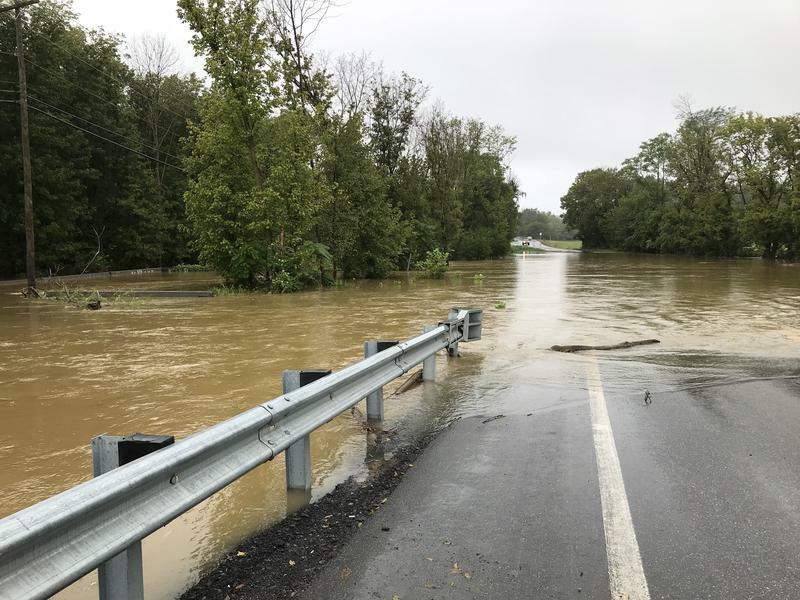 Officials with Jefferson County Emergency Management report that despite high water throughout the region, no major issues have been reported. Both panhandles and the entire state are preparing for what’s coming at the end of the week – heavy rainfall from Hurricane Florence. 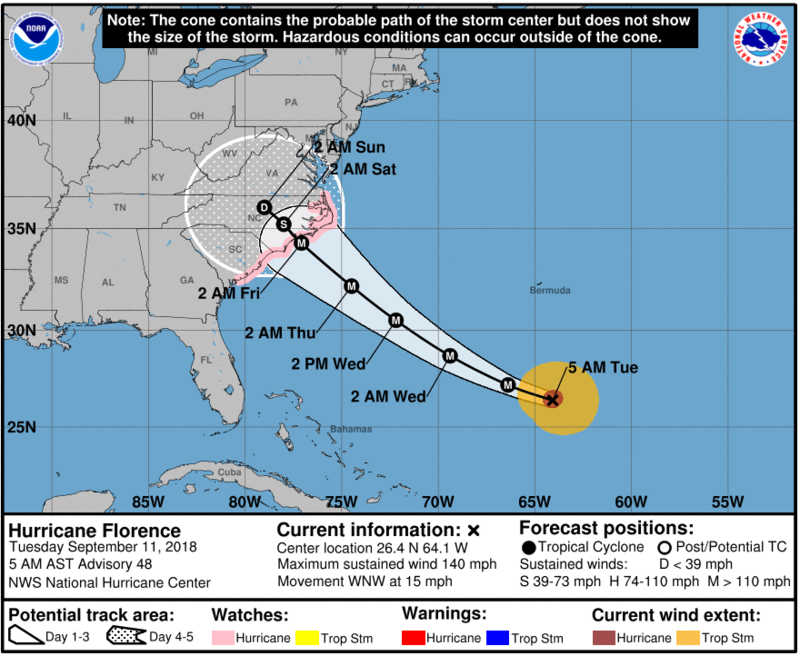 Lora Lipscomb, the Public Information Officer for West Virginia Homeland Security and Emergency Management, said Hurricane Florence is expected to hit southern West Virginia at the end of this week. She said officials are expecting rainfall from the storm to begin possibly Thursday or Friday. WV DHSEM officials are also stationing switfwater rescue teams and National Guardsmen in the region and is making resource preparations before the storm lands. Lipscomb said they do not know yet how bad the storm could be, but the WV DHSEM is in contact with the National Weather Service and statewide emergency officials.